On the first day in Austin, we went to University of Texas Austin to explore the city and the campus. My husband was looking for Wendy's at the university where they had a large plastic cup with a longhorn, which we found that they no longer have, but I happened to find a student holding a cup of Chick-fil-A and thought there must be one on the campus. 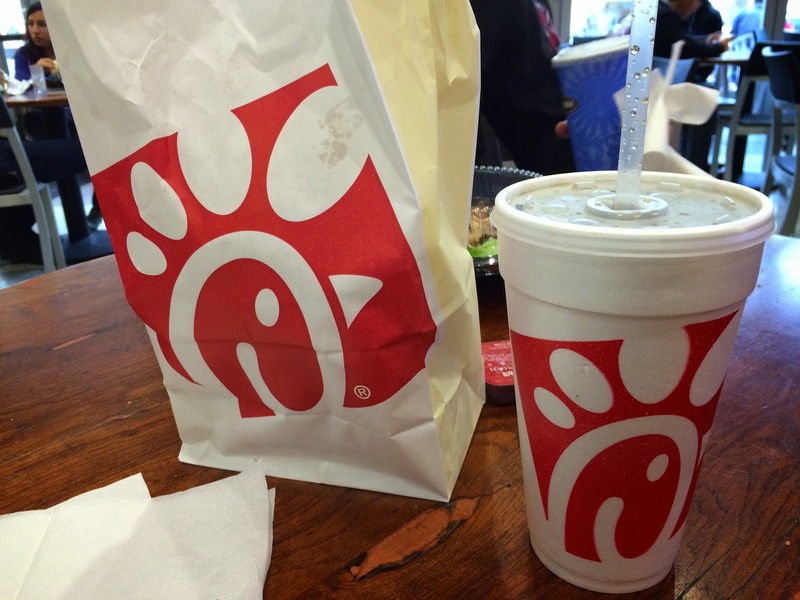 I was right and we found a Chick-fil-A Express at one of the cafeterias. The reason I was really interested in this chain is that many say their chickens are amazing, but there's none convenient near or in NYC. I wanted to try a biscuit, but it's only for breakfast and they don't have it during lunch time. 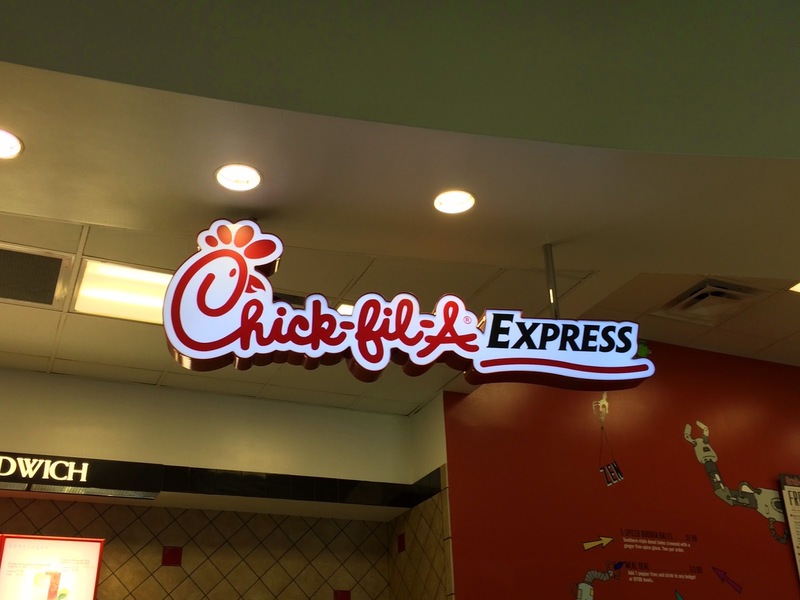 Maybe it's because it's an express and menus are limited to compare with regular Chick-fil-A where they may serve biscuits all day. 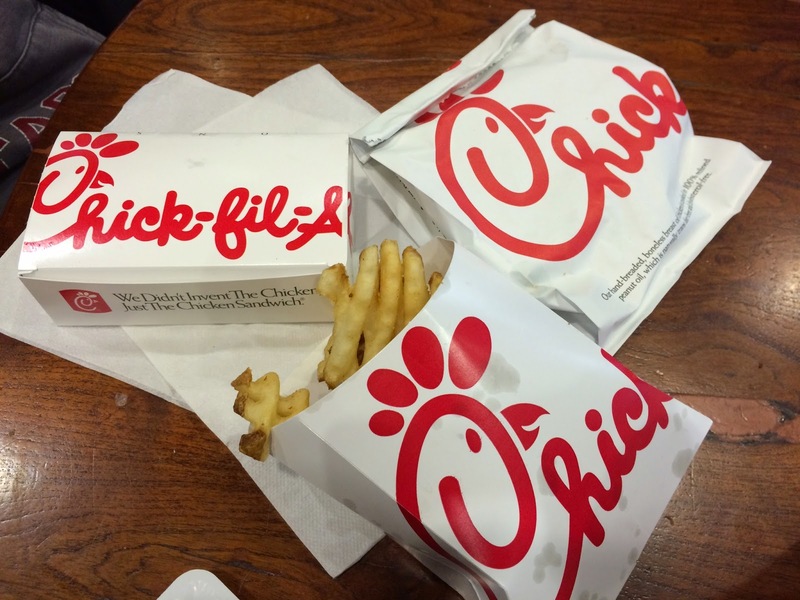 We got a Chick-fil-A Chicken Sandwich, Chick-fil-A Nuggets, Chick-fil-A Waffle Potato Fries and a soda. 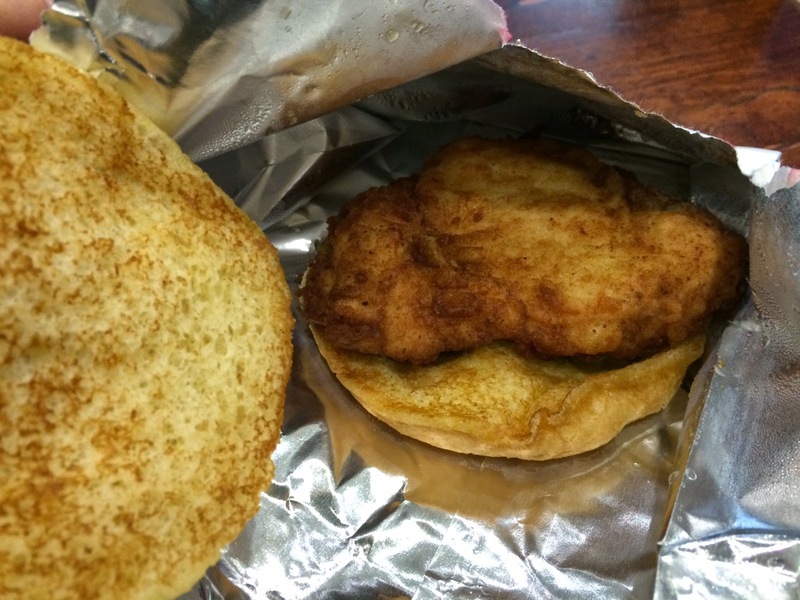 This sandwich consists of plain buns, fried chicken and some pickles, and there's no sauce. 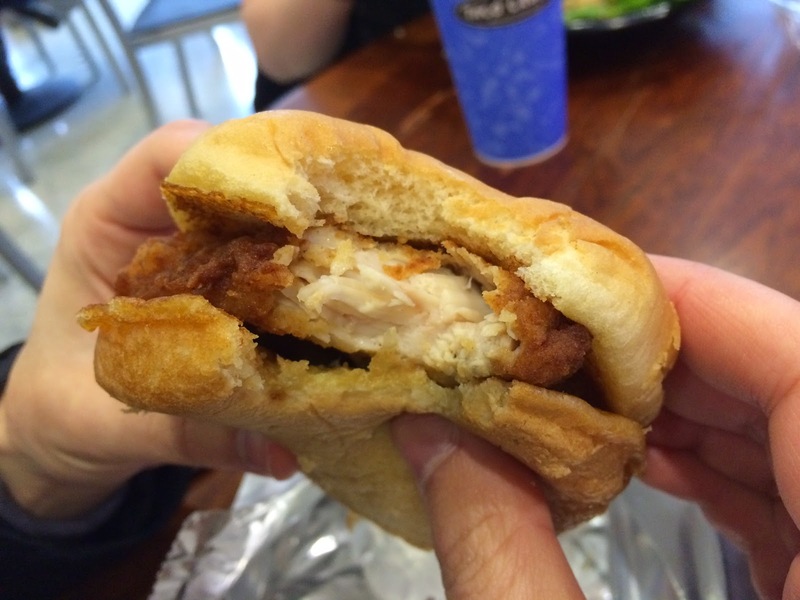 Not using any sauce was good for me because I see many chains use mayo-based sauce. 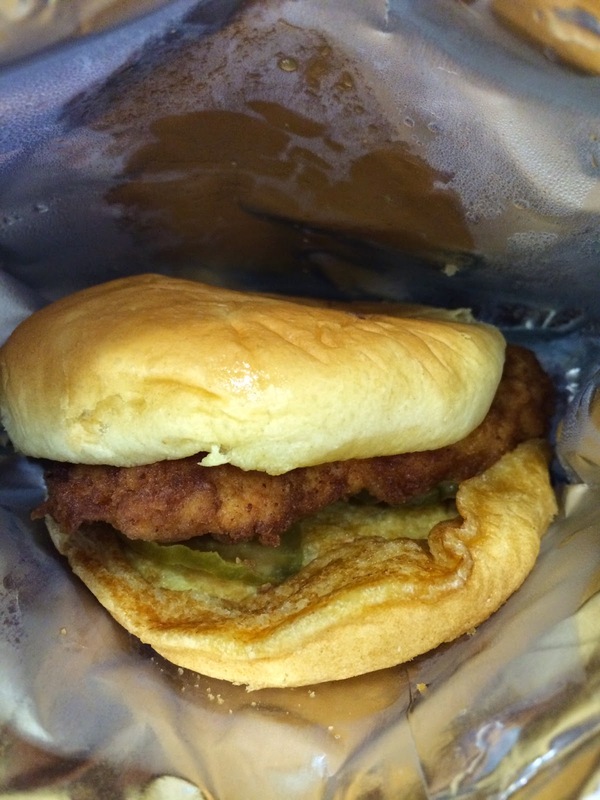 The buns were wet as the sandwich was put in a paper bag with aluminum layer inside, and the steam from the heat formed condensation and quite soggy by the time we ate, which was only like a minute later. 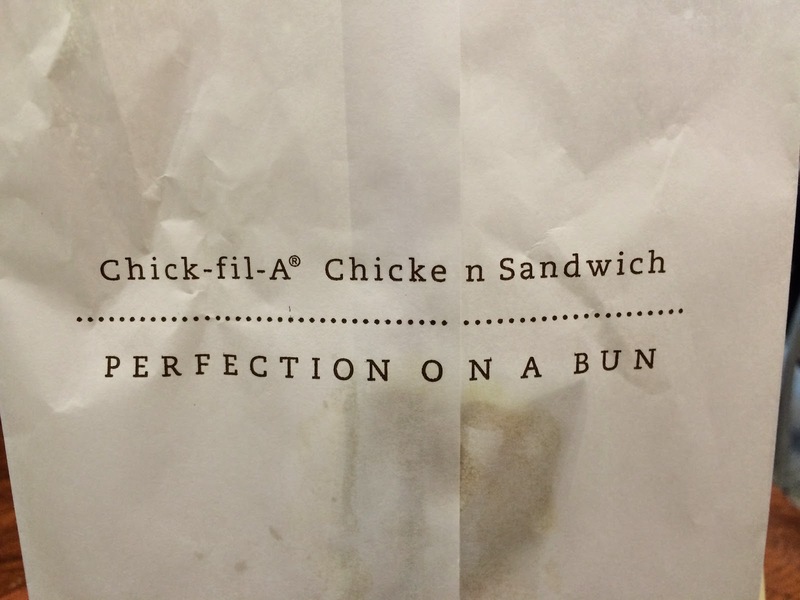 I guess the buns were soft and moist from the first. Chicken, to be honest, no flavor. It's just a white meat with plain flour batter and fried without seasoning. I love KFC's seasoning much better. And it didn't have the characteristic texture that breast meat has and it's wholly soft. Pickles were sour but soft, and I felt really weird to have only sour flavor in this sandwich as the chicken had no flavor and the buns were just ordinary buns. The quality at Express might have been lower than actual restaurant, but if the quality was the same, I'd really wanna know what special about this chain is.